Superchips PowerPaq Stage 1 Kit is the ideal way to get guaranteed gains in horsepower and torque that your 1997-2006 Jeep TJ deserves. 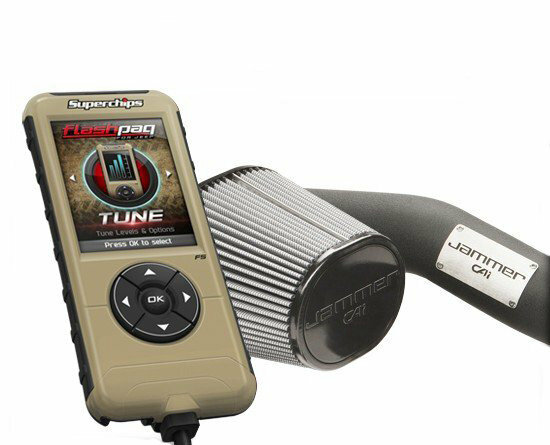 Check engine lights are a thing of the past since each Flashpaq has designed tunes to work with the Jammer air intake. 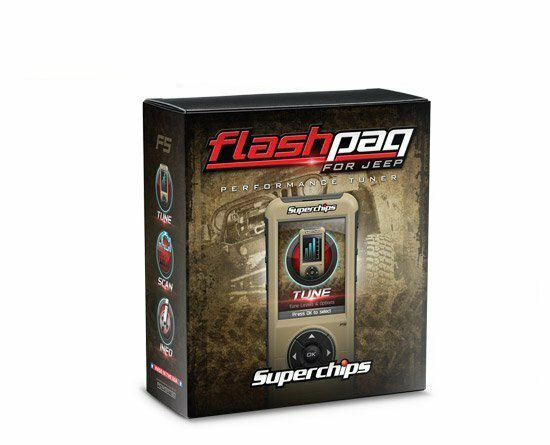 Flashpaq programmers have tunes for economy, towing, daily driving, and extreme performance. The Flashpaq F5 allows for adjustments to speed and rev limiters, as well as speedometer for new tires sizes. There are lots of parameters and adjustments available depending on applications. Also, the Flashpaq tuner can read and clear diagnostic trouble codes, so no more driving around with the "check engine" light on anymore. 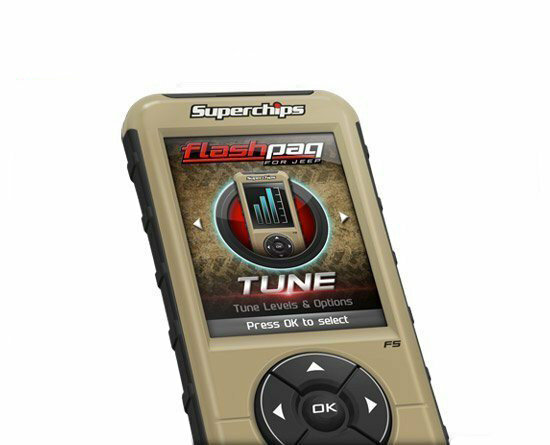 Featuring an easy to view, 2.8" high-definition color screen, Superchips has designed the navigation to be as simple and user-friendly as possible. An upgrade to both the memory and processor means quicker response time and faster updating. With the addition of the Jammer Intake to this kit you will have an enclosed air box that helps to keep hot air from the engine, allowing the intake to pull in colder, denser air. If you're engine is to bring in more air, it's going to create more power, and it's also going to sound a little more aggressive as well. The Superchips PowerPaq stage 1 performance kit is a great way to bring your gas engine to the next level. 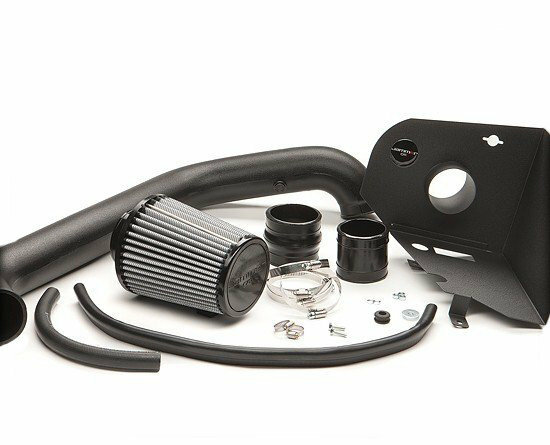 Jammer Cold Air Intake: Include a pre-oiled filter or dry filter, and enclosed air box, and an oversized intake pipe.This unit will block hot air, and funnel cooler air to engine. More air to the engine creates more power. Construction: Made of a durable, thermal plastic, and custom designed to fit your Jeep. Dyno-Tested: Improved horsepower and torque as well as a dynamic sound.